While we immediately had our eye on the modern iterations of the prairie dress and the sleek python boots that studded the collection, the standout piece just may be a statement tee. 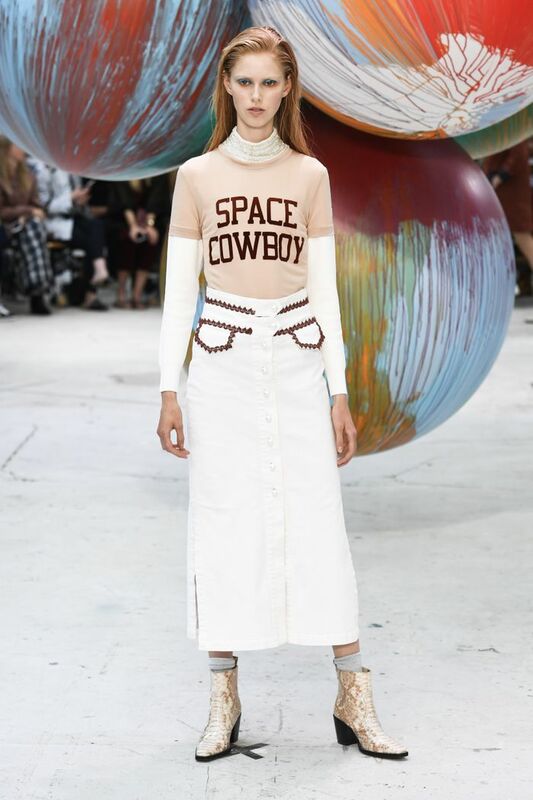 Street style star Pernille Teisbaek has already rocked the “Space Cowboy” tee, and we have a feeling we’ll be seeing a lot more of it too. Read on for a look at a few of our favorite pieces from the show! The T-shirt that you’re going to see everywhere. A little snakeskin goes a long way. 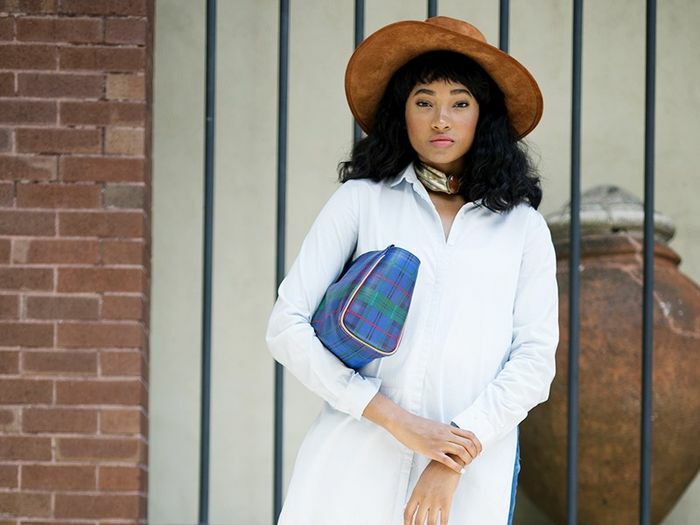 A modern dress with prairie flair. A short suit is the coolest look for summer. 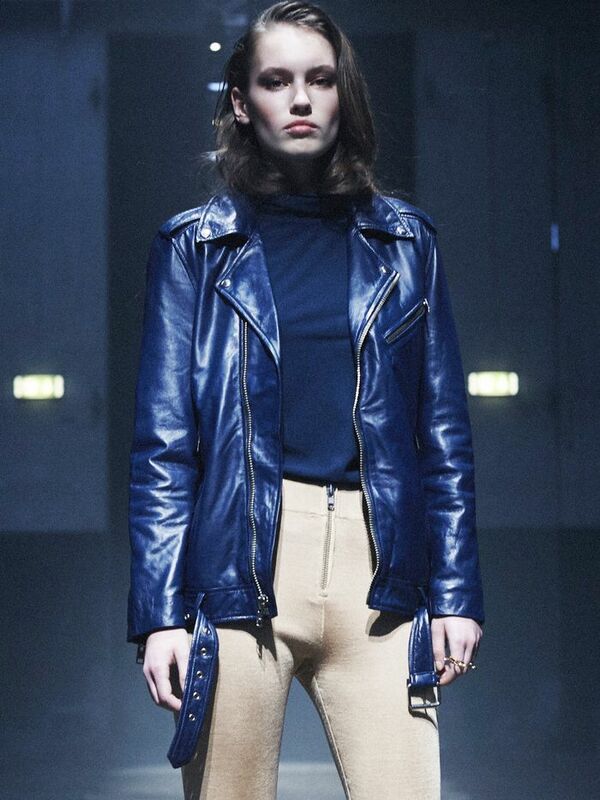 When a feminine jacket meets fashion-forward jeans. Western boots add a relaxed feel to a pinstriped suit. This wild horses motif is seriously dreamy. Can’t complain about a little denim on denim. We’re all about the space cowboy vibes. A little check can be a whole lot of fun. Which piece is your favorite? Let us know in the comments, and then shop Ganni’s current collection!